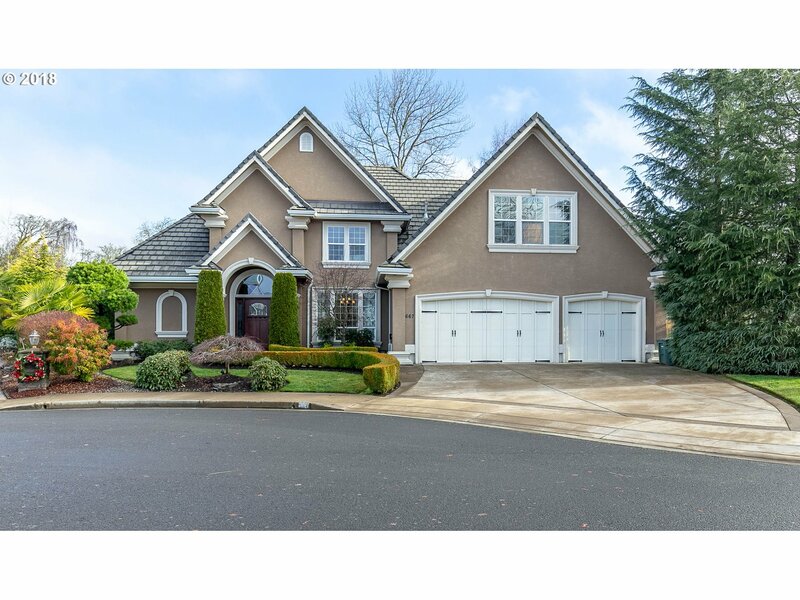 All Creswell homes currently listed for sale in Creswell as of 04/22/2019 are shown below. You can change the search criteria at any time by pressing the 'Change Search' button below. 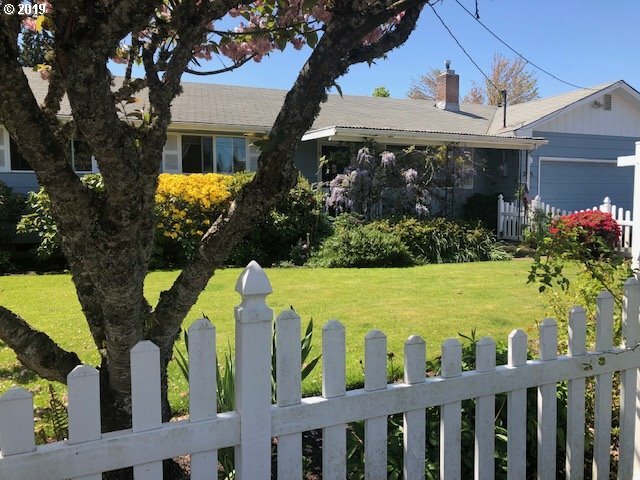 If you have any questions or you would like more information about any Creswell homes for sale or other Creswell real estate, please contact us and one of our knowledgeable Creswell REALTORS® would be pleased to assist you. "Watch the sun rise over the Three Sisters from the privacy of this one-of-a-kind 86.9 acre retreat that includes 59.12 acres in a wetlands/upland meadow conservation agreement with McKenzie River Trust. Stunning, light-filled contemporary with family room addition allows aging-in-place in elegant comfort. Gardens surrounding home protected with 8' aluminum fencing. Exceptional 3-stall barn, heated tack/laundry & store rooms, wash rack." "Amazing 40-acre income property of level prime farmland. Unique opportunity w/2 home sites: currently 1 GoldenWest manufactured home w/detached garage, plus rental income from space rent of 2nd manufactured home. Fruit trees, garden space, shop & large barn complex. 18 acres of producing hazelnut trees. 15 acres currently in grass seed, & approx. 3 acres pasture. Room for horses & more." "Spectacular custom home within walking distance golf,tennis,& resort facilities.Some new carpet.Home overlooks pond with patio, & garden area.Open Concept kitchen/dining/living,Brazilian Cherry Hardwood floors,gourmet kitchen, 6-burner+gas griddle range,surround sound, 3-sided gas fireplace, french doors,central vac, 4-car garage with one bay drive thru capacity, 2 master suites (one main level), bonus room/kitchen, New paint! Must See!" "Don't miss out on this BEAUTIFUL home! Featuring soaring ceilings, travertine, granite counter tops, new SS gas appliances, hardwood flooring, and a HUGE bonus room with a built in bar! The huge gourmet kitchen is incredible! Relax by your gas fire place in your grand living room or hang out in your backyard with on the wonderful patio with views of the Emerald Valley golf course! Call your broker today to preview for yourself!" "Unique home to make your own! 3596 sq.ft on nearly 4 acres. A great location for someone who likes to fly, next to Creswell airport. Great mountain views. Plenty of room for all your toys on the property. 3 bedrooms + an office/den. The large master suite is something to be desired. You're really going to want to see this home to appreciate it!" "This completely remodeled 3-bedroom, 2.1-bath, 2228 sq.ft. 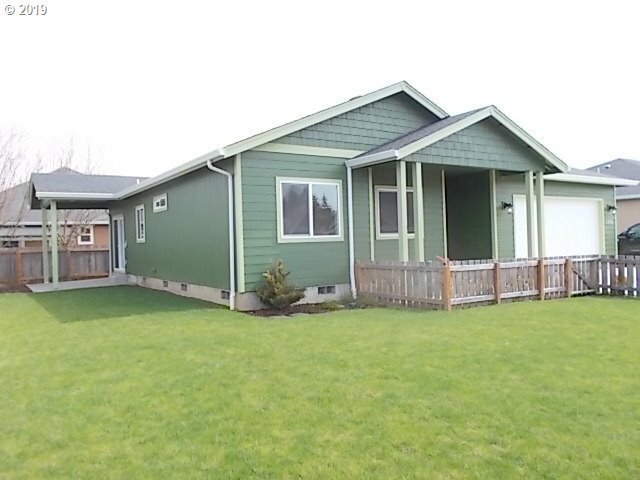 home sits on 1 acre and is just 2 miles east of the I-5 Creswell exit. Special features include master suite, fireplace, granite, subway tile, vinyl flooring, large utility room, 2 bonus rooms, large deck, heat pump, dog run, small animal pen or garden area, RV-parking, fruit trees, outbuildings, and much more. One of the sellers is a licensed real estate broker in Oregon." "Custom Architecturally Designed Remodeled Home on 4.9 Acres!Featuring Mostly Main Level Living w/Spacious Living Room w/wood stove,Stunning Master Suite w/Private Balcony overlooking the back acreage!Remodeled Bathroom w/Porcelain Stone.Newer large Ipe Wood Decks provides outdoor entertaining w/fantastic Views.Lots of storage in large carport & gentleman's shop. 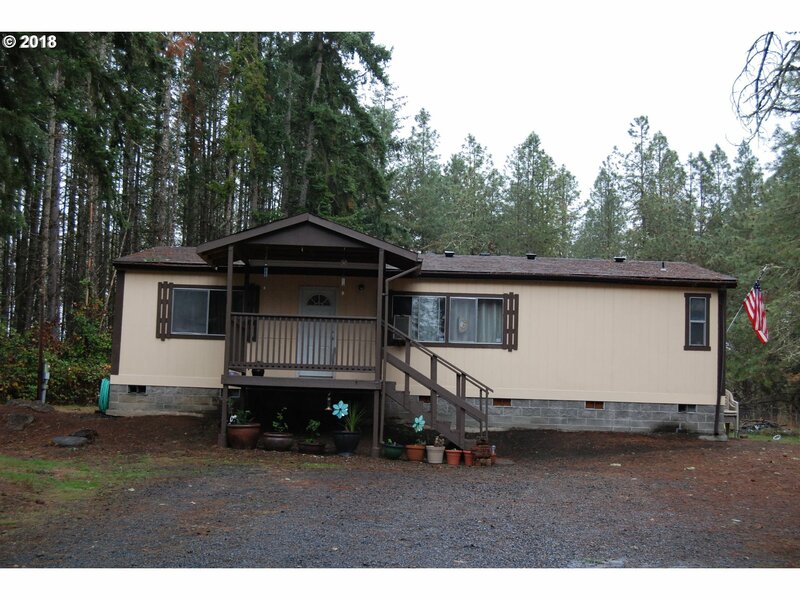 Fenced,New Ht Pump,generator ready!15 mins to Eugene & on school bus route!" "Located in Emerald Valley Villas. Fabulous view of golf course. Relax on the deck overlooking 5th hole.Easy living all on 1 level. Open floor plan. Spacious rooms. Vaults and high ceilings throughout. HOA pays for street lighting, common areas and mowing front and back yards." "Welcome to the Emerald Valley Estates! Walk to Emerald valley Golf Course,gym & community illuminated tennis and basketball courts.This 3 bedroom 2 bath home features dramatic entry,high ceilings w/gas fireplace,formal dining room,vaults & skylights.Kitchen features eating bar,gas stove,granite & stainless appl.Master suite w/walk in closet,jetted tub,separate shower & double sinks.Covered patio,sprinklers & spacious 2 car garage." "Remodeled home on 13.81 acre property with Seasonal Pond, great mountain views and Perfect soils for your organic farming. This property is on the edge of the urban growth boundary. Near shopping and Emerald Valley Golf Course. This rare property has 2 home sites, with shared well & 2 septic systems. 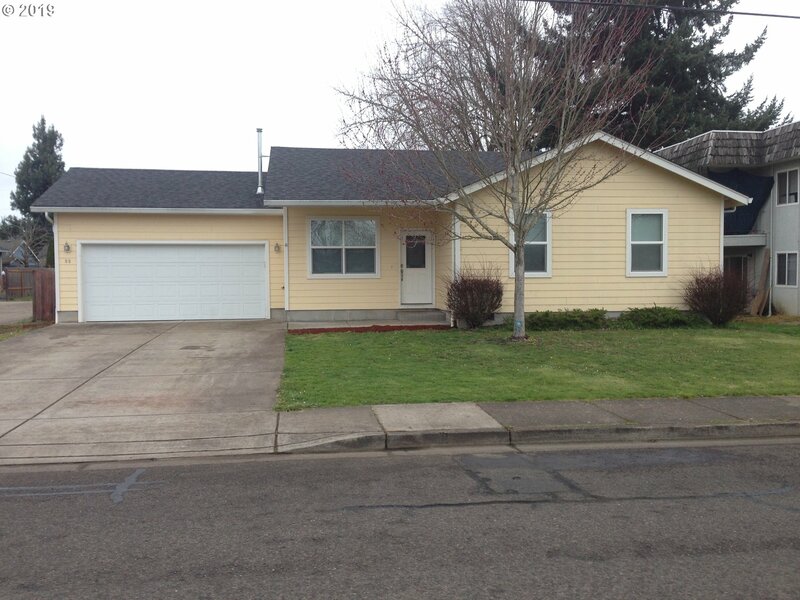 Large shop and a great location just minutes to Eugene. Well & Septic Inspections completed!" "Open House Saturday 4/20 1:00-3:00.Looking for a large work shop? Need a small studio space? Want space for a garden? This house has it all! Large level fenced yard with beautiful plantings that bloom throughout the year. Beautiful sunroom addition looks out to landscaped backyard.Easy stroll over to bakery! New dishwasher. Refrigerator stays. Inside pictures coming soon!" "Beautifully landscaped & immaculate home with lots of space! 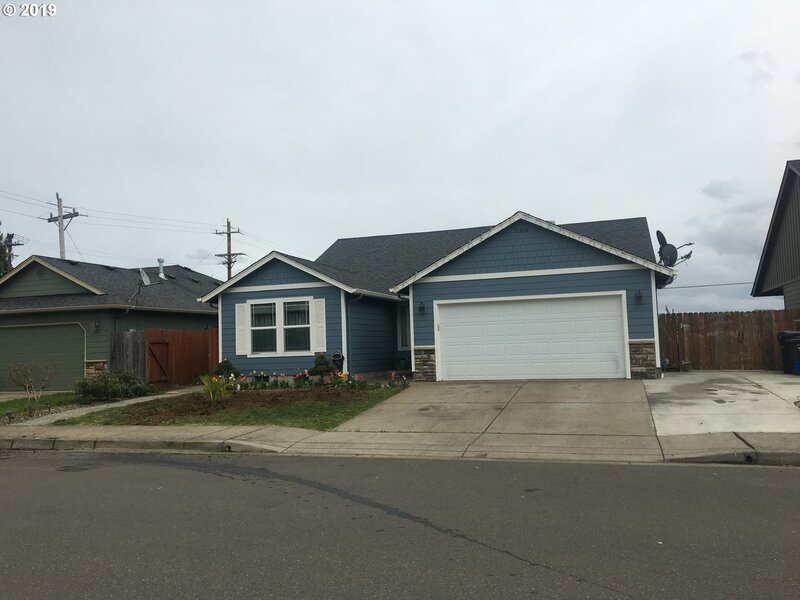 This 4 bedroom, 2.5 bath home features wood laminate floors, stainless steel appliances, large kitchen with eating bar, and laundry room.Beautiful deck with gates overlooking a green space. Underground sprinklers and RV parking." "Custom Cozy Farmhouse in beautiful downtown Creswell. Features; 3bd 3ba fenced corner lot with unfinished basement. RV Parking, Large open floor plan with high 9ft ceilings. Large covered porch front and rear. Vinyl plank flooring on main level, carpet on 2nd floor. Pantry, Office and bonus rooms. Perfect for home office set up. Clawfoot tub for that relaxing soak after days work." "This nice bungalow has wonderful mountain views to the west. It features updates that include vinyl windows, newer paint, & newer carpet. Roomy kitchen, dining, large living room, and attached 2 car garage. Also has a shop with 220, RV parking, chicken coop, and tool shed. 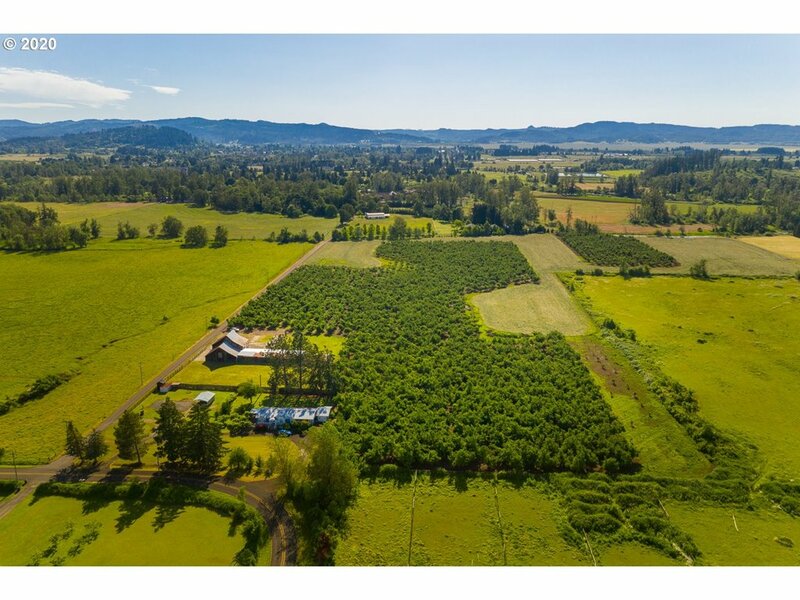 This flat 1 acre parcel includes a garden area and a variety of fruit trees. Storage shed at back of property was site of past hardship with utilities still present." "Private country setting, down long treed driveway! Nice 3 bedroom/2bath on 5.11 acres. Large covered front porch. Vaulted ceilings! Large master bedroom with private bath, walk in closet. Utilty room & mud rm. Back porch with covered deck. New water filtration system on well. Nice big open back yard with fire pit. Older shop/garage. Large carport needs repair." "Open floor plan; living room, kitchen with island, and dining. Vaulted ceilings, skylight lots of natural light, great separation of space, spacious master suite, walk-in-closet gas appliances, paved RV parking, fenced yard with view of the high school fields, fire pit, brick patio, vegetables garden area." "This single level, expertly maintained home boasts vaulted ceilings, an open floor plan and a large master suite separate from two additional bedrooms. Just off from the living room is an office and the kitchen amenities include stainless steel appliances, travertine tile and granite countertops. Enjoy many gatherings outside on your covered patio." "Country living with 1.68 acres and only 10 minutes to town. 5 bedroom home with bright, open feel needs your TLC. Woodworking business for decades means an amazing 1500 sqft of shop space with separate office. Perfect for craftsman or business owner. Level, private land with many outbuildings, gardens and opportunities. Pleasant Hill schools. As-is sale." "Brand New Construction on a quiet pan-handle lot. Nice / clean Creswell neighborhood. Large Master w/walk-in closet & bath. High 9' ceilings. Kitchen w/ Maple cabinets & stainless / gas appliances and island. Forced air gas w/heat pump. RV parking. Large fenced yard w/room to garden. Covered patio is perfect for outdoor entertaining. 2 year Builder Warranty. Very Nice. Must Tour!" "Open Floor plan-vaulted ceilings-light and bright, kitchen with porcelain tile, maple cabinets, super quality laminated floors, new roof 2018, new fence, new garage opener, oversized 2 car garage fully insulated, paved RV parking, garden area, very well kept." "Charming home on a wonderful lot. This home's upgrades include vinyl windows, new electrical wiring, a completely remodeled bathroom and a heat pump. The large, updated kitchen leads to a huge utility/ pantry area. A portion of the living room has a beautiful wood ceiling. Outside comes complete with multiple outbuildings including a work shop with 220 power. The covered deck has a fun water feature. Great home for entertaining!" "Newer home with new carpet installed 1 year ago. 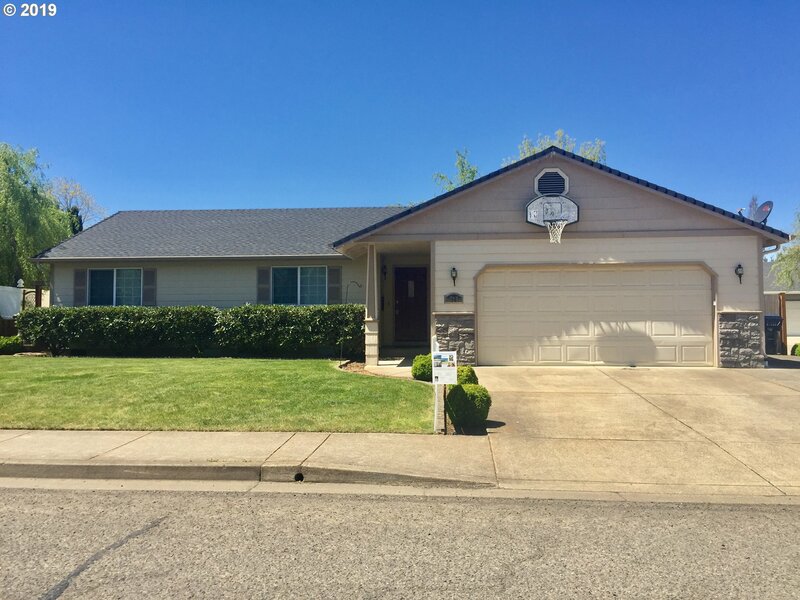 Vaulted ceilings, gas range, refrigerator, dishwasher, built-in microwave, 2 car garage w/garage opener, rear cement patio, fenced yard and gas forced air heat. Tenant occupied - do not disturb without appointment." "Wonderful home in the Creswell Court Residential Community. 48sqft x 25sqft. Vaulted ceilings,Master suite w/ walk-in closet and LG bathroom. Kitchen counters and cabinets installed within the last 2 year. Newer roof and water heater. Laundry room off of kitchen w/ pantry. Porch is screened in and has a shop room w/ electricity. Vinyl windows and forced air heating. Property backs up to natural area w/ pond. Office Hours Mon-Fri 9AM-5PM"